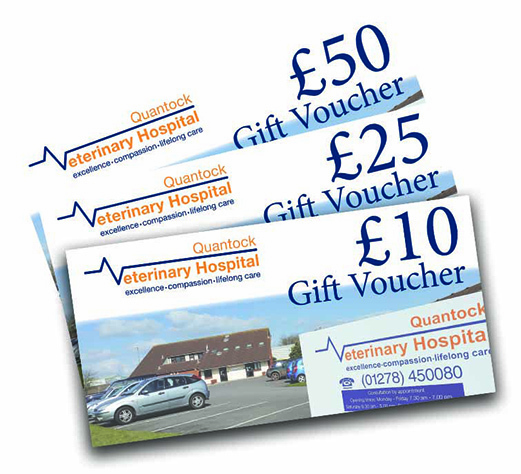 Looking for ideas for an unusual, special gift – we now sell Quantock Veterinary Hospital gift vouchers. A great idea for someone with a pet, who you want to treat or help. The vouchers come in values of £10, £25 or £50 and you can purchase as few or as many as you’d like. Call or see one of our staff at Reception for more information or to purchase your vouchers.